One of my personal goals this year was to improve my skin. I've been suffering from mild acne since my teenage years but could never find the right solution. After having tried many different brands of cleansers, acids and even antibiotics, I was beginning to think there was not a chance my situation could ever get solved. This changed when I came across the book 'Reverse the Signs of Ageing' from Dr. Nigma Talib. She's a natupathic doctor and it was the first time I actually understood the relationship between skin and nutrition. After her book I got even more interested in the topic and read two other amazing books: 'The Autoimmune Solution' and 'Grain Brain' which I highly recommend. Dr Nigma even uses the term "digest-ageing" when she explains that we are ageing mainly due to bad digestion. The main villains to our skin, as we would expect are gluten, sugar, wine and dairy. Amy Myers on her The Autoimmune Solution goes even further to saying all grains can damage our imune system and therefore cause many health issues from acne and allergies to serious diseases like Alzheimer. Even if your food test doesn't show you're intolerant to gluten it can still affect you negatively, making you feel bloated or causing skin conditions so it's best to avoid it. On the other hand if you were diagnosed with coeliac disease you know you will have to exclude gluten completely. From my personal experience I can tell it's quite difficult to go down this path as our mind puts a lot of effort in convincing us to resist change, but once you realize how this can improve your life you'll see how easy it can be. The best thing to do is establish the 80/20 rule: 80 percent of your nutrition should be as healthy as possible so you can relax a bit on the rest. On these 3 books there are plenty of delicious recipe to help you along the way. After finishing the book I arranged a consultation with Dr Nigma where she asked for some tests and with the results in hand she suggested cutting out some more food from my diet. I was also given multivitamins, fish oil, supplements containing magnesium caprylate, probiotics and enzymes. Cleanser - Clenziderm M.D. from Obagi. It's the best I found so far. It contains salicylic acid and it's perfect for blemished skin but Dr. Nigma even recommends it to patients without acne. The Cleansing Complex from IS Clinical is also really good. Toner - Organic Apple Cider Vinegar from Bragg. ACV can help balancing the oils in your skin, reducing wrinkles and removing toxins. You can dilute it a bit as the smell is strong and use a cotton ball to apply it. I leave it overnight but you can rinse it off after a few minute. However if you can't stand the smell of ACV I also love the clarifying toner from Effaclar Clarifying Toner from La Roche-Posay. Anti blemish cream - Effaclar Duo from La Roche-Posay. Whenever I get spots or black heads I use this very effective but gentle cream. I've used stronger products but my skin was very sensitive to those. 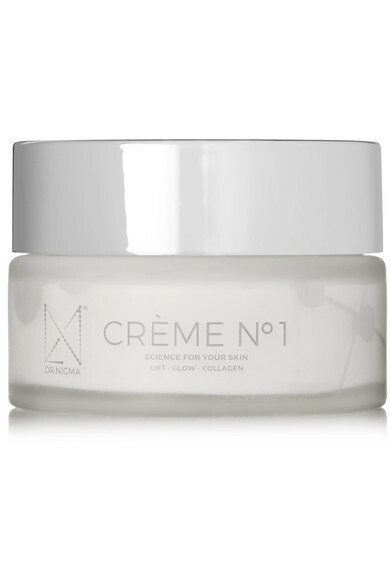 Moisturizer The Creme No1 from Dr. Nigma Talib has hyaluronic acid, plants extracts and stem cells and it's my favorite so far. Sunscreen - Mandatory to prevent wrinkles and lines. I love the Anthelios SPF 50 from La Roche-Posay. Dr Nigma recommends Heliocare Cream SPF 50. I like to use it together with the Compact Foundation from Shiseido. 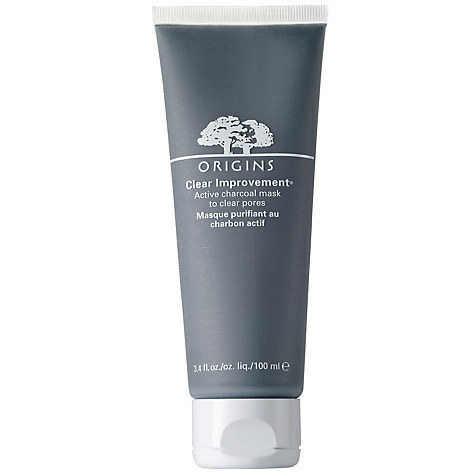 Mask - Clear Improvement from Origins. The active charcoal is very effective to clear pores. I still want to find more natural products that work as good as these. On my body I've managed to keep it more simple. I use Cold Pressed Avocado Oil as a moisturizer and once or twice a week I do an exfoliation with coconut oil and Himalayan salt. Just mix equal parts of the two in a bowl and apply to the whole body. You can add any essential oil if you think the coconut smell is too strong. Or you can use avocado oil instead. The Autoimmune Solution: Prevent and Reverse the Full Spectrum of Inflammatory Symptoms and Diseases by Amy Myers, M.D.